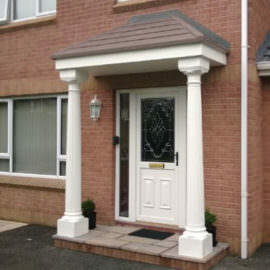 With canopies available for all types of properties, book an appointment with one of our team and you’ll quickly find that our extensive door canopy range really does offer something for everyone. 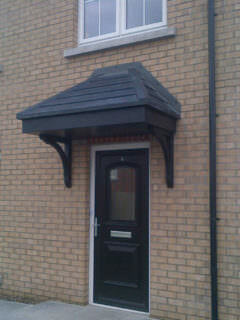 All our Apex door canopies from The Home Design Group come complete with tile / slate-effect roof coverings. 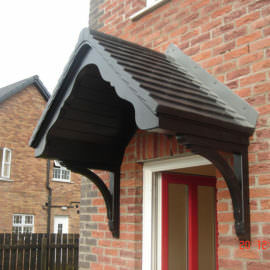 In addition, they are available in a number of sizes and roof pitches, and are designed to suit most site conditions. 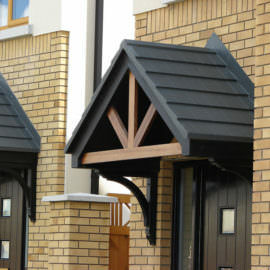 Fascias and soffits are moulded in timber-grain effect. 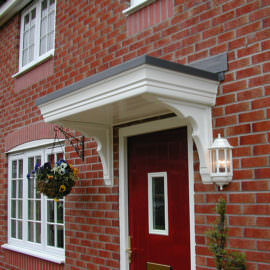 Mono-pitched door canopies have two functions: they can either serve purely as a door canopy, or, alternatively, used as a tile-effect bay window covering. Our moulds are 6m long, allowing you to order a product size up to this dimension. 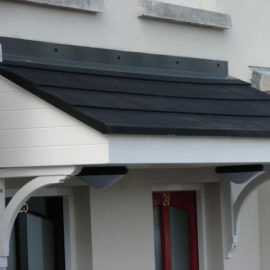 Once again, our mono pitched door canopies have all the aspects of a traditional product, complete with wood-grain tongue and groove soffit, and small rosemary tiles / slate-effect roofs.